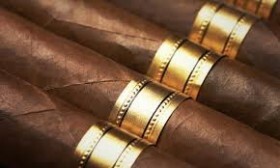 Beginning Thursday, September 11, cigar lovers will have a new spot to relax, sip and sample at Indulge – A Cigar Experience at The Fairmont Hamilton Princess. Indulge, a new weekly event at The Fairmont Hamilton Princess, will take place on Thursday nights from 8pm to 10pm, starting on September 11. Featuring live jazz and set on the new Princess Marina, guests will experience luxury cigars paired with flights of choice single malts and sipping rums. A specially-crafted tapas menu, featuring items such as smoked pork with a maple chipotle glaze; Cajun spiced scallops with grilled onions on a corn puree; and charred New York steak with a sweet balsamic onion jam, is set to complement the selection of fine cigars and spirits available each week. Yelena Packwood, Marketing and Communications Manager, The Fairmont Hamilton Princess, says: “Cigars are experiencing a resurgent popularity world-wide, and the Princess Marina is the perfect location for Bermuda’s cigar aficionados, and novices alike, to experience this unique cigar pairing event. To reserve a place for Indulge at The Fairmont Hamilton Princess, please contact The Fairmont Hamilton Princess on 441-295-3000. This looks like a wonderful event. I do enjoy the occasional fine cigar and fine rum. A true yachtsman, like me, enjoys these finer things in life. Do you notice how the consumption of tobacco and alcohol is dressed up as a luxury lifestyle? Where are all the loving and caring people who have dedicated their lives to stop others from smoking because it is bad for you? This practice of tobacco smoking kills millions…yet no objections? Choosing only to try and impose your opinion on people who choose to smoke herb, regardless of the fact that smoking herb is not responsible for even one death. Or any of the myriad of uses of this special plant. It seems that y’all are ready to eradicate herb by any means necessary all because people smoke it. Yet I rarely hear a peep about smoking poisonous tobacco…in fact there are no objections at all, as witnessed by the ability to advertise a “smoke up” with drinks…of course, right here on this mainstream media platform. The other comment on this subject speaks volumes…we can thank one of our local yachtsmen for that. “Cigar experience”…how pretentious can one be? Time to put ganja on the top shelf, where it belongs!